Athanasios John Traicos (born 17 May 1947) is a former cricketer who represented South Africa and Zimbabwe at international level. He was primarily an off spin bowler, and is one of a small number of cricketers to have played at the highest level for more than one country. Traicos was born in Zagazig, Egypt in 1947 where his father Tryphon worked in the family business. He is of Greek descent, his father having been born in Lemnos, Greece and his maternal grandmother in Kalymnos, also in Greece. In September 1948 the family moved to what was then Fort Victoria in Southern Rhodesia. As a child he was known as "Naso", a contraction of his name "Athanasios", but when he started university he adopted the name "John". Traicos grew up in Rhodesia and played for that country, which at the time was regarded as a "province" within the South African domestic cricket setup. While a student at the University of Natal he benefited from being coached by Trevor Goddard making his first-class debut on 24 June 1967 when he represented South African Universities against Cambridge University, taking 5–54 in the first innings. He represented the South African Universities team on two more occasions before making his Rhodesia debut on 27 January 1968. He made his Test match debut for South Africa against Australia at Durban in February 1970 while still a student, having been selected at the request of the South African captain Ali Bacher. He took four catches and three wickets in his debut Test. However, after his three appearances in this series, South Africa were banned from international cricket because of the apartheid regime. 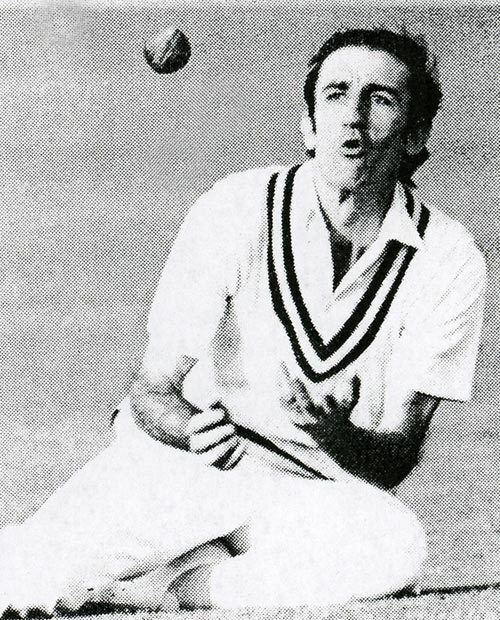 Traicos continued to play for Rhodesia, and then for Zimbabwe after the country gained its independence, playing for Zimbabwe in the 1982, 1986 and 1990 ICC Trophy tournaments. He also represented Zimbabwe in the 1983 Cricket World Cup, and was an important part of the side which inflicted a shock defeat on Australia. 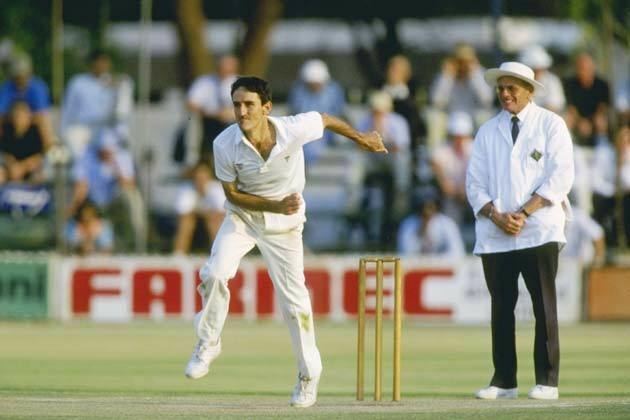 Zimbabwe were raised to Test status in 1992, and Traicos was selected for the countrys inaugural Test match which took place in Harare against India. This appearance came a record 22 years and 222 days after his previous Test appearance, and he repaid the selectors decision with his best Test bowling figures of 5/86. He played three more Tests for Zimbabwe, and his final appearance came at the age of 45 years and 304 days, making him the oldest Test player since Miran Bux 38 years earlier, and the twelfth oldest of all time. He would have been even further up the list had he been available for selection for the following years tour of Pakistan, but Traicos business commitments prevented this. In 1997, Traicos and his family moved to Australia as a result of political instability in Zimbabwe and settled in Perth. His elder daughter Chloe is an actress, film director and screen writer and his younger daughter Catherine is a singer-songwriter.